Healthcare economics has changed significantly in the past decade. Health cost inflation has exceeded double digits and every recipient of health dollars has experienced substantial changes in payments. The downward reimbursement trend seems to be disproportionately affecting smaller providers. The overall cut in Medicare this year and elimination of several consult and procedure codes, does not bode well for most providers of medical services. Recent trends in healthcare payments suggest that the big players will be able to better withstand cuts by negotiating better deals with health plans. With that premise in place, many providers are scurrying rapidly to form medical groups by uniting similar or even dissimilar practices and thereby achieving better leverage. Whether it is a loose association of disparate medical practices or a tightly knit organization, it is important to examine issues that are relevant to group formations. Healthcare laws, antitrust rules, personnel management issues and business management challenges are all important to consider. 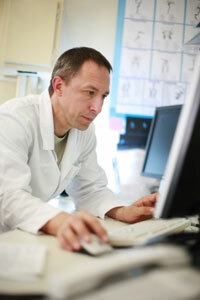 Health regulators as well as health plans are aware of the newly popular group practice trend. Care must be taken while forming loose associations of disparate groups who refer patients to each other and/or share pricing information to negotiate better contracts. Regulators will look through the form of the group and examine substance to determine whether the arrangement is truly legitimate. Health attorneys must deal with issues pertaining to Florida Patient Self-Referral Law, Stark and antitrust laws while advising the group. True integration brings about a host of benefits like cost reductions, process synergies and better leverage; however, challenges do arise from integration and many of them stem from the loss of control and business autonomy. Health Plan Cooperation—Will health plans actually deliver better rates? Malpractice Carriers—Use of “captives” should be contemplated. Office Space—Lease vs. Buy. What to do with existing offices? Employees—How to achieve synergies? Human Resource Management. The biggest challenge, though, is even beyond the business issues. It is the ability of multiple CEO’s to work under one CEO or a management committee. It is the loss of autonomy that causes most groups to break, and thus it becomes extremely important to consider exit issues as part of the formation process. The ability of a disgruntled shareholder/partner to leave the group without much hassle is a worthwhile goal that should be pursued and incorporated into the agreements at the very outset of the formation process. In addition to planning exit strategies, care should be taken in designing governing structures that spell out day-to-day management and conflict resolution issues. Finally, using the right professionals in guiding the formation, operation and closure of group practices is very important. Attorneys, CPAs, billing companies, banks, contract consultants, pension advisors, etc. must be brought in early to ensure that appropriate steps are taken and information sharing is done in a timely manner.